Claiming that she was extortionately fired for refusing to destroy a document regarding Heartguard’s effectiveness, the former global head of pharmacovigilance for Merial, Ltd. has filed a wrongful termination suit against the drug manufacturer. Kari Blaho-Owens, Ph.D., had been global head of pharmacovigilance for 4 years at Merial, Ltd. when she was fired in July 2010. Her responsibilities included driving best practices for compliance and innovation – and ensuring that proper processes and procedures were followed. 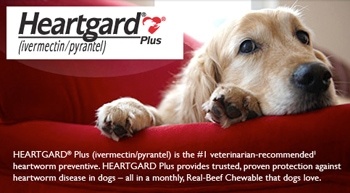 So when a Nov. 30, 2004 letter from the U.S. FDA’s Center for Veterinary Medicine “noted that there were numerous reports of ineffectiveness for heart worm prevention despite ‘Heartgard Plus’ being used according to the labeled directions,” Merial opened an internal investigation. That decision would ultimately cost her her job. The investigation was conducted after Merial received a Nov. 30, 2004 letter from the U.S FDA’s Center for Veterinary Medicine, which “noted that there were numerous reports of ineffectiveness for heart worm prevention despite ‘Heartgard Plus’ being used according to the labeled directions,” the complaint states. a. The statistical analysis used in the 2005 study does not conform to recognized scientific standards. b. The study was not blinded, and was conducted using ‘cherry-picked’ data, so as the persons evaluating the data would be led to support the conclusion sought by Merial, i.e., that the drug was 100% effective. c. The study included and evaluated only 7% of the total number of ‘Heartgard Plus’ cases. Blaho-Owens said that over the next few years, as Merial continued to try to delay the labeling change, she repeatedly raised concerns about the lack of transparency in the company’s reports to the FDA. Blaho-Owens said she was terminated after filing a claim of retaliation with the Labor Department’s OSHA division, and she’s seeking a declaratory judgment, an injunction and damages, including reinstatement with back pay for violations of whistleblower provisions of the Sarbanes-Oxley Act.